come with a spaceship and a cage. 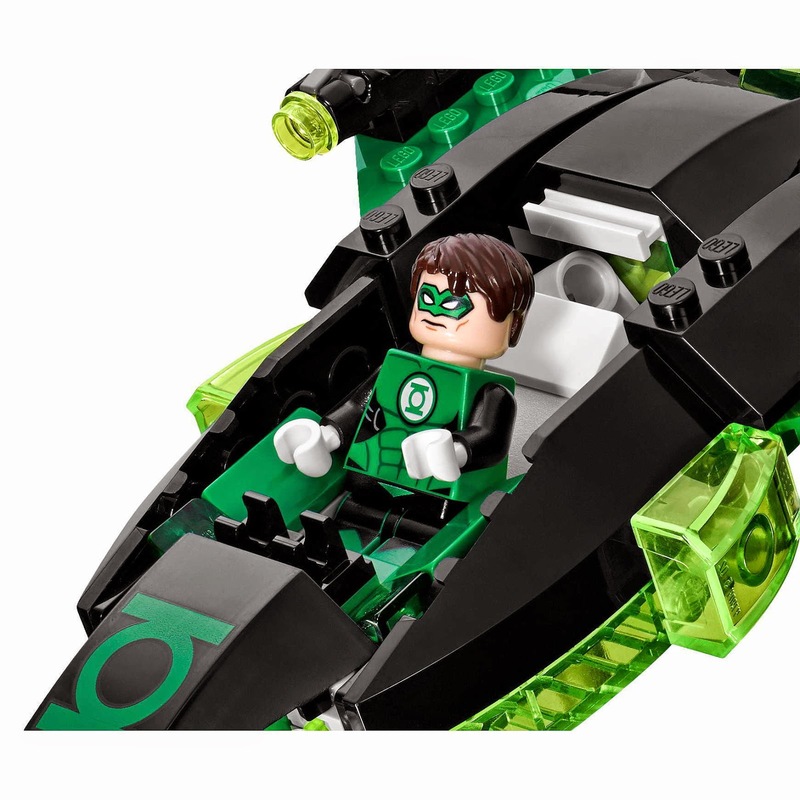 the cage has a plinth for the lantern and explode function. 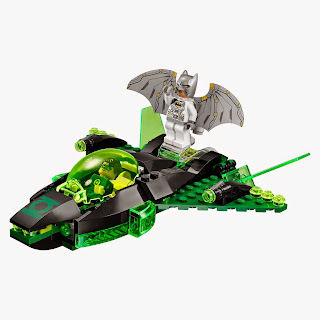 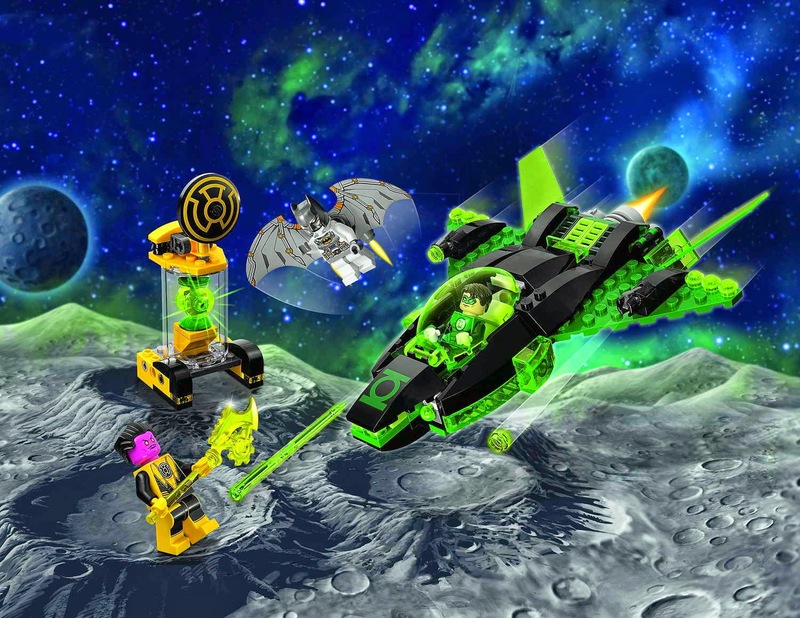 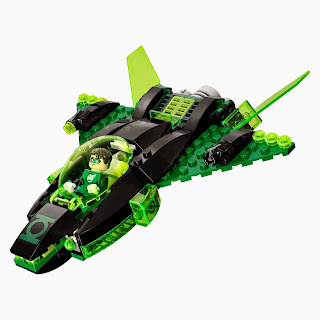 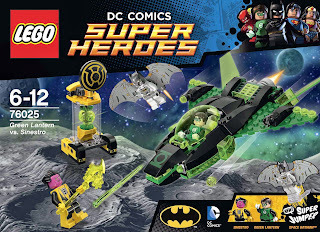 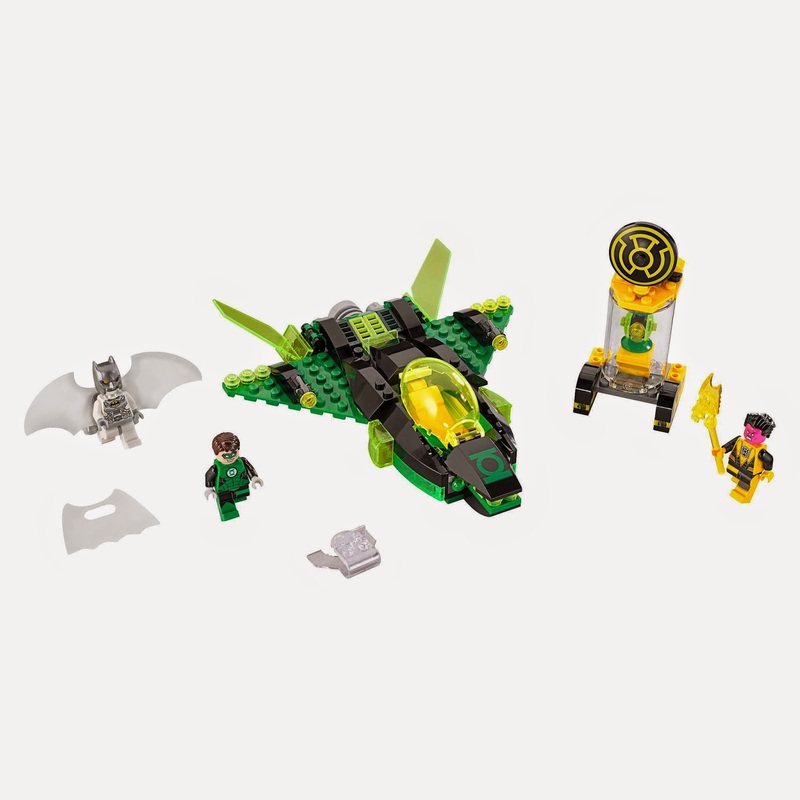 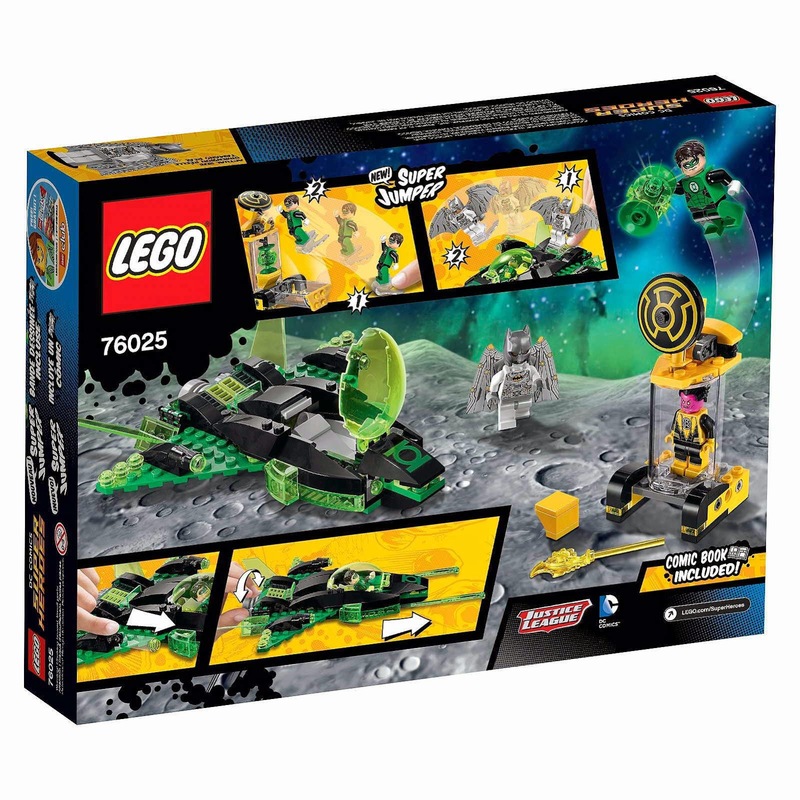 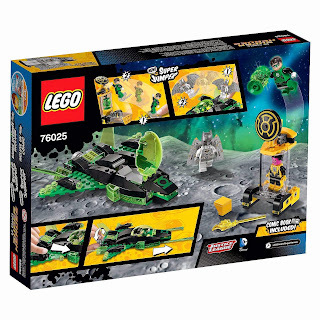 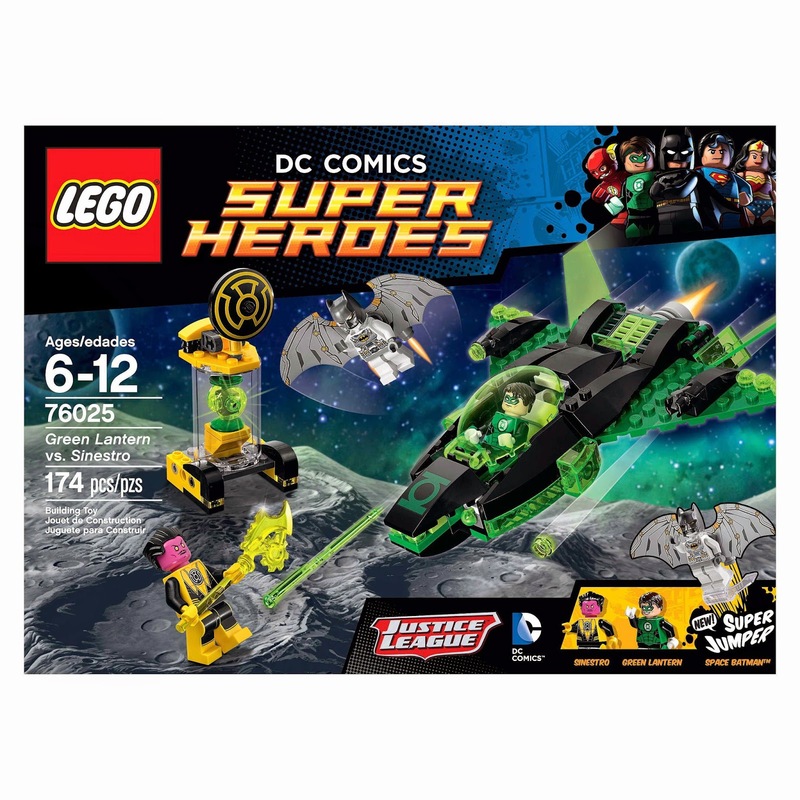 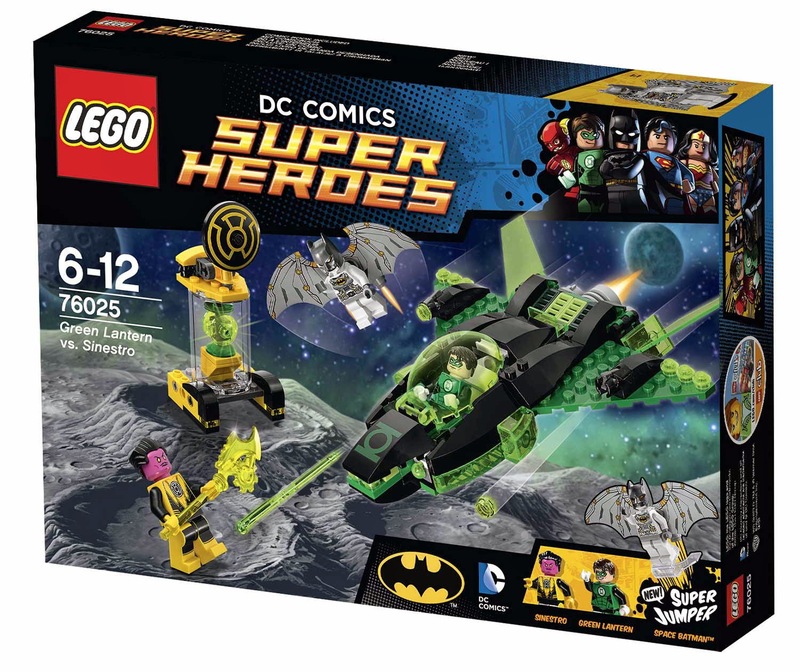 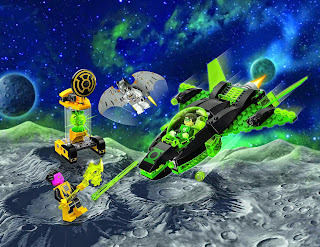 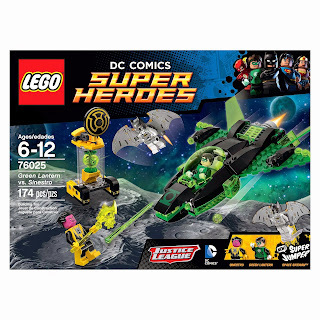 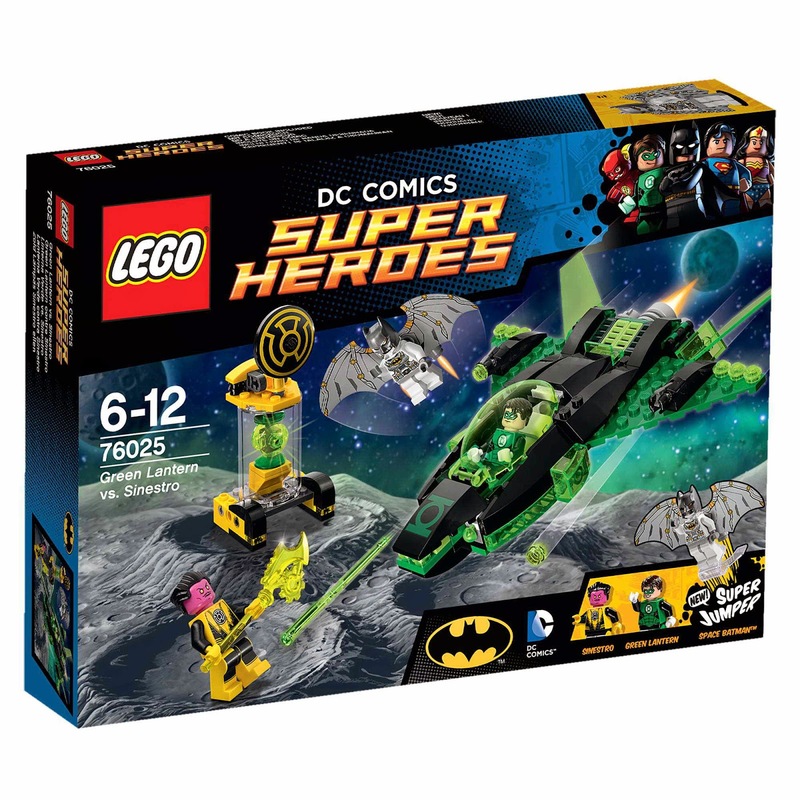 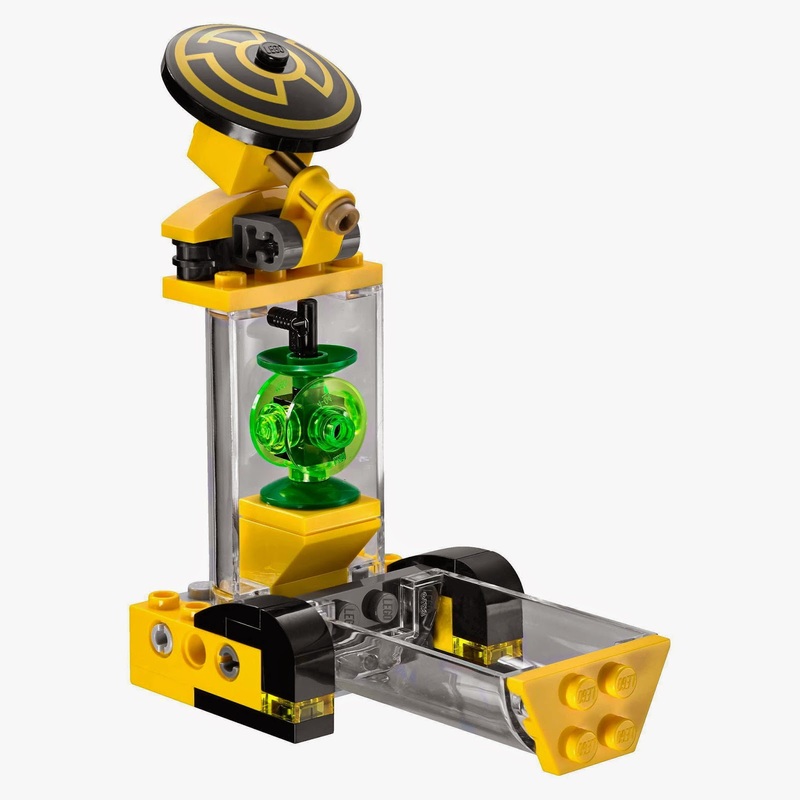 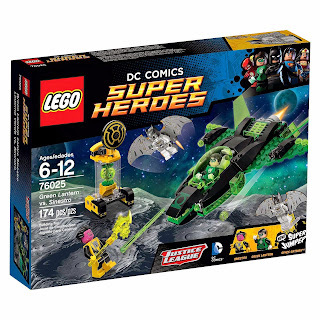 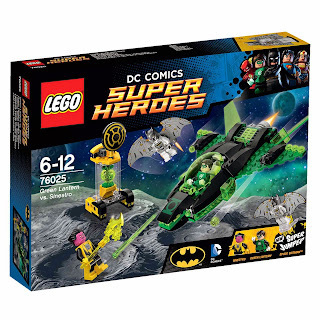 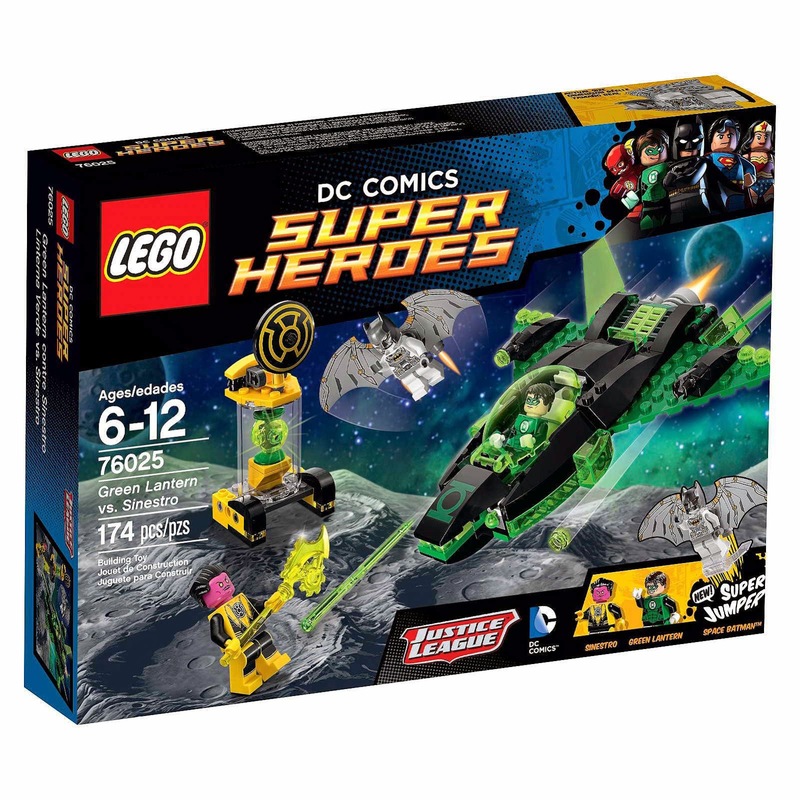 minifigs included a green lantern minifig, a space batman minifig and a sinestro minifig.